what is the attraction to live so close beside a powder barrel? Are 50 miles far away not safe enough? same reason people live on the flanks of Kiluaea or Pompeii... they like it here! 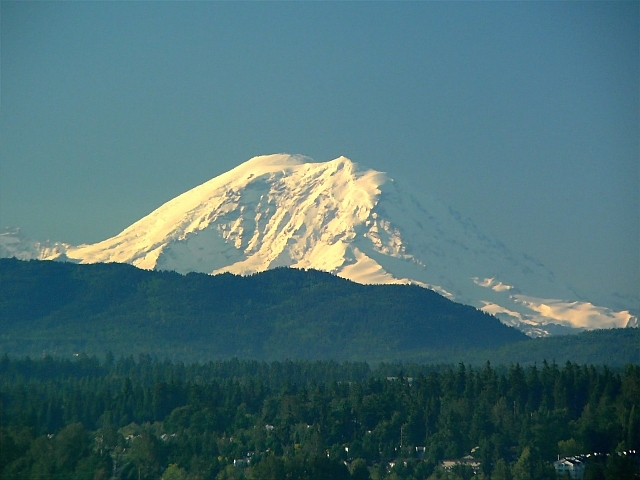 Rainier hasn't let off a big one for about 300 years, so when this area was settled, few people even knew it was a volcano. in any case, 50 miles is far enough to be safe from pyroclastic clouds or lahars,although the ash could be a real problem if the wind were blowing the wrong way. fortunately for me, i live on the upwind side, so the odds of anything landing in my yard would be exceedingly remote.